Catholics are encouraged to make use of the Sacrament of Reconciliation, and perhaps it has become a tradition to go to Confession before Easter. Yet, Confession is so much more than a tradition. Moreover, the Church urges each of us to partake of our Lord's mercy in this Sacrament frequently throughout the year. To put it plainly, I shouldn't "save up" my sins for Confession only at Easter and Christmas times. I am always in need of God's merciful Grace. Should I be content with keeping sins on my soul for month on end? If I had an infection, would I put off medical treatment for a long time? The sad truth is that many of us have a sort of malaise when it comes to confessing sins. We would prefer not to consider the fact that we have offended God. We would like to give ourselves a pass on this by believing that our sins are not so bad or that God understands and doesn't really mind. 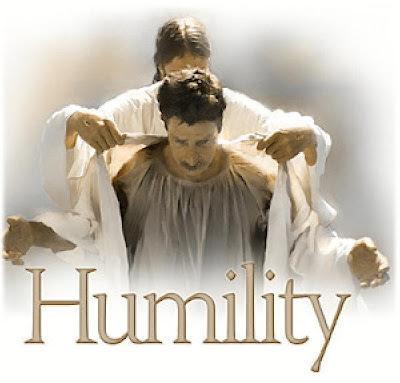 The remedy for this false perception of our spiritual condition is humility. We have no idea of the state of our souls. God is so merciful that He spares us from seeing our true dispositions. Some might despair and give up. Once again, let's compare this to our physical health. We go to doctors for check ups just so that we can find out if there are any problems and, if there are any, then we hope for remedies. We need the virtue of humility not to denigrate ourselves but rather to know ourselves better. Humility helps us to see reality with understanding. This reality concerns what we are actually like. It also concerns our relationship with God. None of us enjoys being put down. So, there is a tendency to avoid a self reality check. However, true happiness will come about only through humility. The Saints teach us this. Once they realized their sinfulness, they confessed and began the struggle to be who God called each of them to be. It was not just one great confession for them but a lifetime of confessions. The greatest teacher of humility is Jesus Himself. He, though without sin, emptied Himself for us. He who did not know sin became sin for us, that is, He took the punishment which is our due. Second to our Lord as an example of humility is our Lady. She also was without sin, even from her conception, but she knew her relationship with God. Just read her Magnificat (Luke i:46-55). It is only by dying to oneself that there is abundant life. Humility gives one the clear vision to see our standing with God and our sins and failings. It urges us on to make complete confessions and frequent confessions.